S’mores are fab. Cupcakes are fab. Why not get the two together? 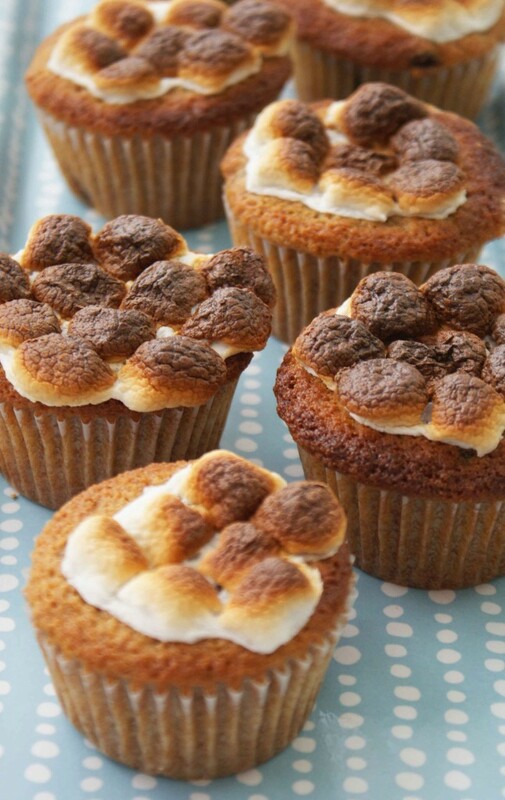 The great thing about these, besides the fact that they combine the flavors of s’mores in cupcake form, is the roasted marshmallow topping – no pressure to create swirly frosted tops! And they travel well – you don’t need to worry about the frosting melting or being somehow smushed. Preheat oven to 350°F and line 12 muffin cups with paper liners. In a medium bowl, stir together the graham crumbs, flour, baking powder, and salt. In a large bowl, beat the butter and sugar in large bowl until light and fluffy. Add eggs one at a time, beating between each, then beat in the vanilla. Add the dry ingredients in 3 additions alternately with milk in 2 additions, beginning and ending with the dry ingredients. Stir in the chocolate chips and divide the batter among muffin cups. 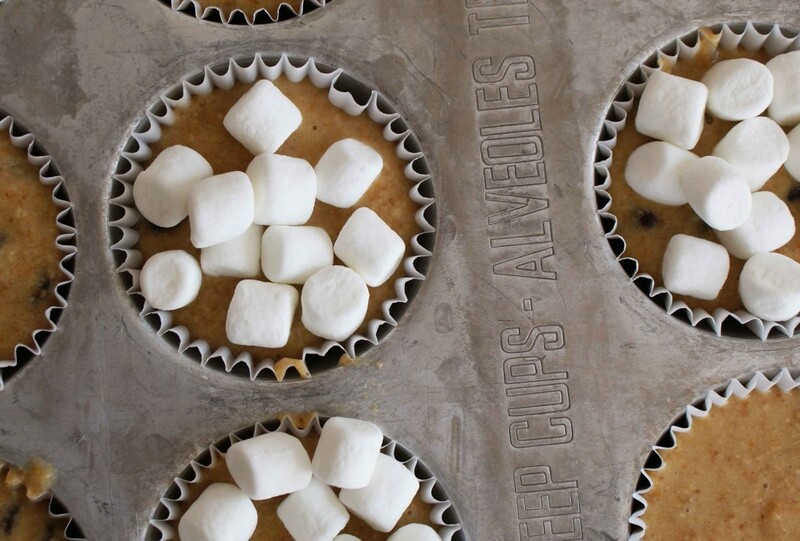 Sprinkle each with a small handful of mini marshmallows. Bake for 25 minutes, or until golden, the marshmallows are puffed and golden and the cakes are springy to the touch. Cool slightly in their tins before transferring to a wire rack to cool completely. Makes 1 dozen cupcakes. This entry was posted in About Cupcakes, cooking, Cupcake Recipes, Cupcakes, Cupcakes in the News, dessert, Food, Gourmet, Kosher, Recipe and tagged Baking, Cooking, Cupcake, Cupcakes, Dessert, Food, gift basket, Kosher. Bookmark the permalink.